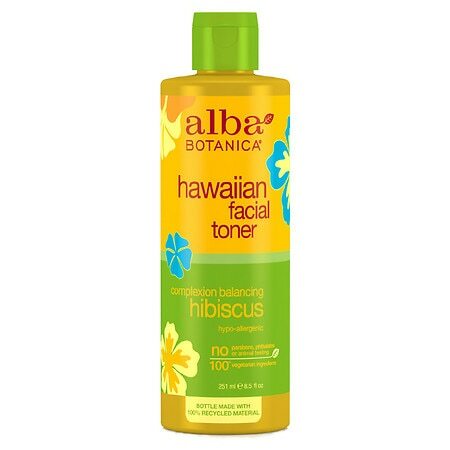 – Even Better In Paradise Facial Toner With Complexion Balancing Hibiscus Hypo-Allergenic No Paraben, Phthalates Or Animal Testing Ph Balanced 100% Vegetarian Ingredients Bottle Made With 100% Recycled Material Calm, Cool Cucumber, Witch Hazel And Aloe Vera Purify And Minimize Pores. – Even Complexion Without The Shine? How Pure-Fect! No: Animal Testing, Artificial Colors, Parabens, Phthalates, Sodium Lauryl / Laureth Sulfate Or Sodium Myreth Sulfate. – Extracts Of Hibiscus, Honeysuckle, Passion Flower And Guava Further Refine And Refresh So Skin Finishes With A Smooth, Balanced Tone.